Window repair happens in many different forms from simple glass replacement in Chandler to complete window replacement in Chandler. Another common window repair is water damaged drywall and cracked stucco repairs around the window areas. I can make you windows more energy efficient in less than just one day of my Chandler handyman services. In the summer I can install your summer window sun screens. Installing simple security windows locks will help protect your home and keep your family secure. Want to improve the look of the interior of your home? Let’s frame your windows with wood trim and install a decorative wood sash. 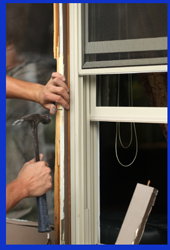 Chandler Handyman Window Repair and Window Services Include . . .